I got one of these from the kickstarter and am wondering if I can use the programmer for my arudino mini pro. Also am I able to do it with a 3.3v one? how would I proceed if I were to do that. You didn't mention what type of programmer you used for your Arduino Mini Pro. 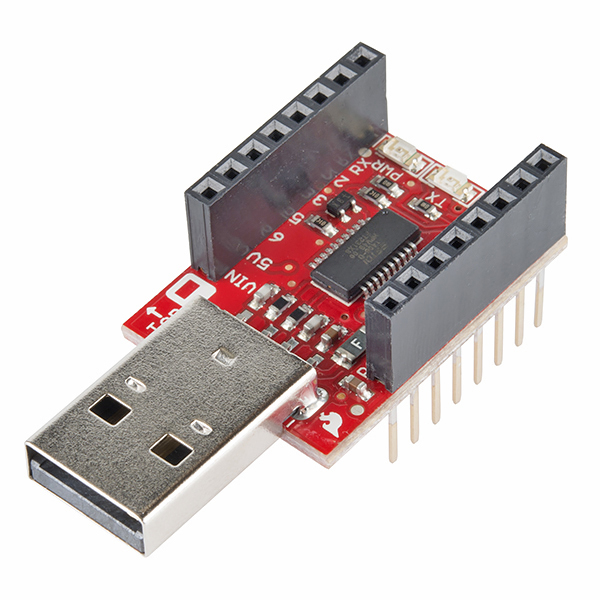 Normally any USB to Serial TTL converter will work properly as a programmer for the MicroView. In our Getting Started with MicroView, we have a diagram showing how to use a FTDI Basic as a programmer. On the other hand, I would recommend you to get the official programmer from SparkFun to save you some time messing with the serial to TTL converter. It is designed to fit nicely on the breadboard and MicroView. I believe tester919 wants to do the opposite; use a MicroView programmer to program a Pro Mini. I've programmed a 5V Pro Mini with the MicroView programmer with no problems. You need to connect 5 sets of pins. I think it would be a bit more complicated for a 3.3V Pro Mini (I haven't tried it). You probably would need 5V to 3.3V level shifters on the TX, RX and RST lines. You would also connect the programmer's 5V pin to the Pro Mini's RAW pin instead of to VCC. Thanks Scott for the clarification. The FT231X in the MicroView Programmer is 3.3V output, should be able to work with 3.3V Mini Pro. Just make sure the 5V of the Programmer goes to the RAW input of the Mini Pro like Scott said. Thanks for pointing out that the MicroView programmer is 3.3V compatible. I should have researched the schematic and datasheets. Good to know if I ever need to program a 3.3V Arduino!